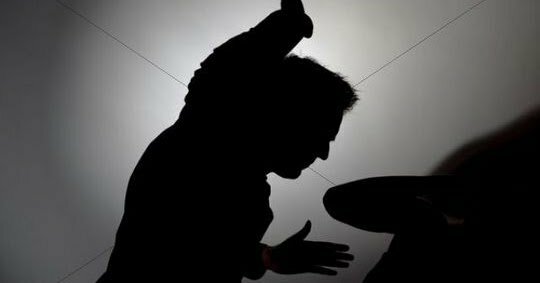 A patent medicine dealer, in Lagos State, Uche Madumere, has allegedly beaten his 35-year-old wife, a police Sergeant, Mariam Sule, to death because of another woman. The deceased, who was attached to Igbologun Police Station, Snake Island, Lagos State, was allegedly killed by her husband during a quarrel over his alleged lover, Egnes. New Telegraph reports that the incident occurred at Number 10, Sholake Street, Iju-Ishaga area of the metropolis. Trouble was said to have started when Egnes formed the habit of visiting Uche whenever Mariam goes to office. Neighbours reportedly told Mariam of the alleged clandestine visits. One of Mariam’s brothers, Mr. Kelvin Ndu, told the newspaper that he and other family members learnt about Mariam’s death the following day. The family was not too happy about the delay in notifying them about Mariam’s death. According to Ndu, it was Mariam’s son, Gideon Adaji, who alerted them of the incident. Ndu said: “Uche told me that the quarrel between him and Mariam started after a woman brought food to him. He said that Mariam protested against the presence of the woman in their matrimonial home. According to Uche, he was still at the backyard when he heard screaming. He rushed to his apartment and met his wife fighting with Egnes. Ndu added: “Uche said when he rushed in; he met the door to the sitting room locked. He said he forced it opened and asked his wife what was the problem. He said Mariam accused him of bringing a strange woman into their matrimonial home, while she was away. According to him, Mariam asked him why he brought the woman home knowing she was at home. Uche said he separated them and Egnes escaped, but Mariam ran after her and then later returned and went into her room, while he stayed outside. “According to him, a few minutes later, his daughter, who was in her room when they were fighting, rushed out to inform me that ‘Aunty’ had fainted. “Uche said he rushed back into the room and found Mariam on the floor. He claimed to have poured water on her and took her to Ifako General Hospital where he was told he brought her to the hospital dead. That same night, he said he took her body home and then called her first son, Gideon, who is about 19 years old, to inform him about the death of his mother. “According to Uche, Gideon said he couldn’t come out; that it was late and that their gate had been locked. He promised to see him the following day. “Uche said that he could not wait till the following day. He went to pick Gideon at home and they both deposited the body at a mortuary in Agege after that, Gideon called his mother’s family members to inform them of what happened. Ndu said, “The case was transferred to the State Criminal Investigations Department (SCID), Panti, Yaba, for further investigations. To our shock, Uche was released by the policemen four days later. Even before the outcome of autopsy result. While Uche’s neighbours accused him of beating his wife to death because of another woman, the police said the medicine seller was not a culprit. The Lagos state Police Public Relations Officer (PPRO), a Superintendent of Police (SP), Chike Oti, said the police did not compromise as alleged. He said: “The husband is not a culprit. The policewoman had altercation with another woman and one thing led to the other and she slumped and died.